Organizations, from nonprofits to business associations, can benefit from incorporating member management with event planning process. Your membership program is an incredible source of revenue and engagement from the supporters of your organization. But did you know that membership management goes hand-in-hand with event planning for engagement and recruitment? Proper member management can lead to more successful events while successful events can lead to improved member engagement and recruitment. Therefore, incorporating member management into every step of your event planning process is an incredibly important step to take as an organization. Offer special benefits to members. Recruit new members at events. Track attendee and member engagement metrics. Before jumping into planning your event, be sure you are already getting the most out of your membership software. This will ensure a smoother transition into the planning process. Check out Fonteva’s member management software guide to make sure you’re ready to start planning. Now, let’s dive into the first incorporation strategy! Enabling your members to collaborate online based on common interests can help you plan events that cater to the interests of particular (or multiple!) groups of members. This is especially helpful if you are a professional organization looking to create networking opportunities for members of your association. Management software enabling members to form their own groups should store all the important information for event planning in the association management database. For instance, if your members form a membership group within the software and bond over their interest in coding technology, you might choose to host a conference about coding in which your members can participate. Incorporating the knowledge you have documented about your members into different events is a great way to increase member engagement and participation. Cater to the interests your members already bond over in order to best appeal to them with your themed events. Take a look into these naturally divided groups before planning your next event. You’ll find you have better turnout when the event targets particular groups. Next, you’ll just have to ensure the event lives up to their expectation with the latest event planning trends. In addition to planning your event in order to cater to particular interest groups within your organization, be sure to market according to the member data in your database. Communication through member management software. If your member management software offers capabilities to message within the system, this is an especially effective way to reach out to member chapters and subgroups already existing in the software. You can set up mass messaging capabilities to communicate with active software users. Direct contact using given contact information. The contact information within your member management software makes it easy to reach out to people through their addresses. Personalized mail hasn’t gone completely out of style, especially for older audiences. Try sending specialized event invitations to your members through classic direct mail. Appealing through social. Social media is a platform of marketing that your organization should never forget about. It is especially helpful if your membership program is full of young professionals. They may respond more positively to event promotion on your LinkedIn, Twitter, or Facebook accounts. Plus, when your database is integrated with your event planning software, it makes it that much easier to streamline your marketing efforts. 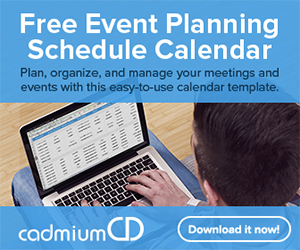 When it comes to planning your event, you’re not just limited to a single event planning software like Cvent. Do your research to find the one that will work best for your organization. 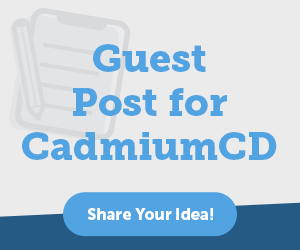 Check out top providers like CadmiumCD, Fonteva Events, and Double the Donation’s list of other top Cvent competitors. If you’re choosing to plan an event to improve the engagement of your existing members, you may choose to provide special perks for members attending your organization’s events. Your membership comes with all sorts of benefits like eLearning opportunities, discounts, networking opportunities, etc. Be sure these perks also include access to exclusive event benefits. If you decide to open these events up to the general public, there are still plenty of ways to make your members feel special and appreciated. You may offer members a reduced or waived registration fee, “backstage” passes, priority registration, discounts on event merchandise, or other reward-based benefits. Be sure you have all the tools you need to offer these types of benefits to your members. Depending on your organization, you may need different features such as digital membership cards, robust membership capabilities, lightweight solutions, etc. Launch your research by comparing membership software and learn more about these features. Your events can help you to recruit more supporters to purchase memberships from your organization. When you plan your event, be sure you have a quick and easy way for your supporters to apply for the membership program right from the event. This may mean setting up a booth or table where people can come register, or simply taking email addresses for later recruitment. Discounted dues. For those who sign up to be a member at the event, provide a discount on the first month of membership, reduced recurring dues, or even a free basic membership. Merchandise or ticket discounts. If your organization has impressive swag available or a popular annual event, give discounts or free access to these things as a bonus for new-member sign-ups or renewals done at the event. Don’t forget that when you are recruiting new members from your well-planned event, you should focus on recruiting both attendees and volunteers. They will both be intrigued by the discounts and perks you offer, but you may choose to offer volunteers more specialized benefits as a reward for their hard work. Make sure non-members at the event are aware of the benefits members can receive. Market the perks at your event to encourage more sign-ups. After your event is over, use your member management software to track the engagement rates of event attendees and gather feedback on the event itself. You may choose to send out a survey about the event, interview randomly selected donors who attended, or encourage other types of feedback from members. Attendance rates. Not only should you focus on the total attendees, but also the number of members, non-members, and volunteers who were there. This can show you where your marketing strategies are strong, or where they could be strengthened for your next event. Plus, individual attendance metrics can help further build your member profiles for future use. New memberships recruited. This metric shows how strong your membership marketing strategies were. If this number is lower than you hoped, you may need to re-strategize to offer more immediate benefits or better promotion techniques. While you’re at it, don’t forget to send “welcome” and “thank you” messages to your new recruits! Merchandise purchased. Merchandise isn’t just a method of making money. Those who purchased swag from your event likely wanted something to remember the event by. This is a good sign that they enjoyed the activities you provided. Analyzing feedback and engagement metrics is a great reference point for your next event. Pay special attention to members’ feedback about your event because they are a lifeline to your organization. You can design your next member engagement strategy around their feedback to your organization. For instance, if you received a lot of feedback that there were not enough vegetarian options at a member networking lunch, make sure you offer more for the next one. Member management and event planning go hand-in-hand with one another. They can be mutually beneficial when you incorporate their capabilities together and maximize your use of each.